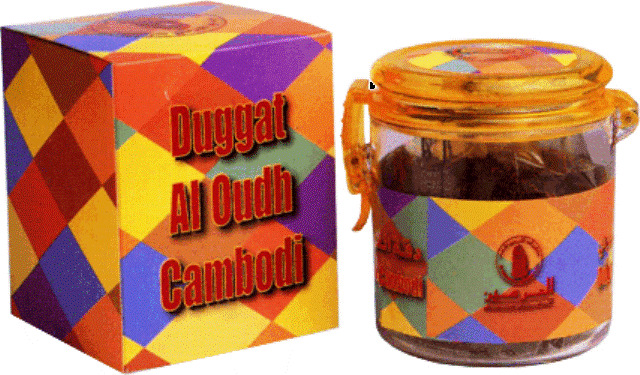 Duggat Al Oudh Cambodi - Incense Wood buy Arabian Oudh: Buy Duggat Al Oudh Cambodi - Incense Wood Days will come and go, bringing with them numerous joys and moments to cherish. Use of Duggat Al Oudh Cambodi will make these happy memories linger on in your mind, long after the moment has passed. Revel in the refreshing and pleasant atmosphere it will create in your home, office, car etc. Oudh is use in the Middle East during special occasions to scent one's clothing with the rich thick smoke. It usually burned in an incense burner and as a gesture of hospitality; the incense passed amongst the guests in the Majlis or sitting rooms.